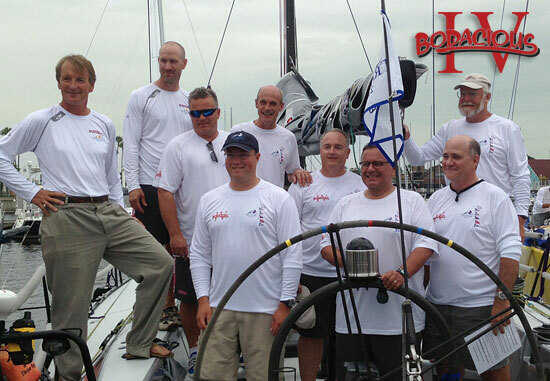 BD News/ Transpac 2013 – Coming Up! 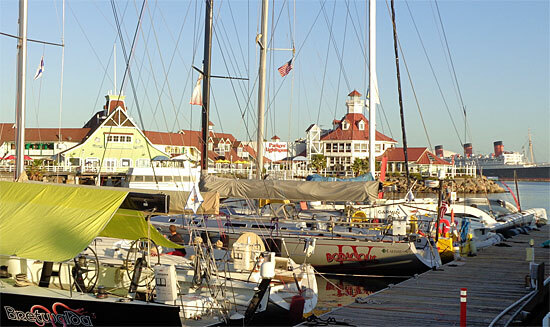 Greetings from Long Beach, California … where warm and sunny days abound! 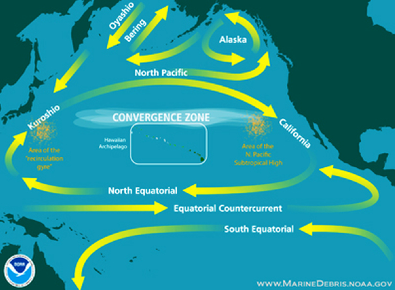 We’re now moving into the final 10 days of preparations for the Trans-Pac Race - 2225 miles of open-ocean sailing from Long Beach, California to the Honolulu, Hawaii. 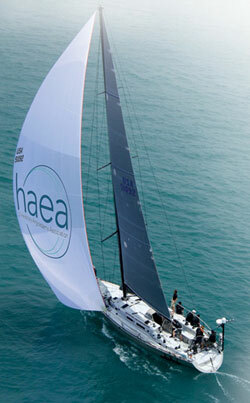 This is one of the great ocean races in the world. 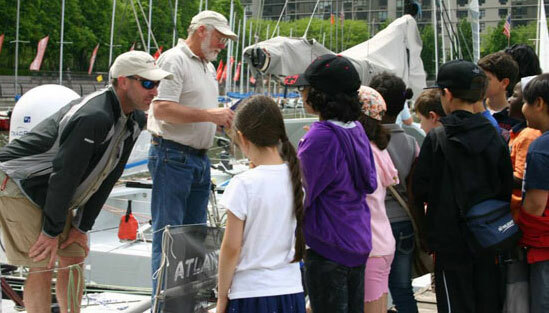 Though it stands as a pinnacle of racing for sailors along the western coast of North America, the event also attracts sailors from around the Pacific and around the world. 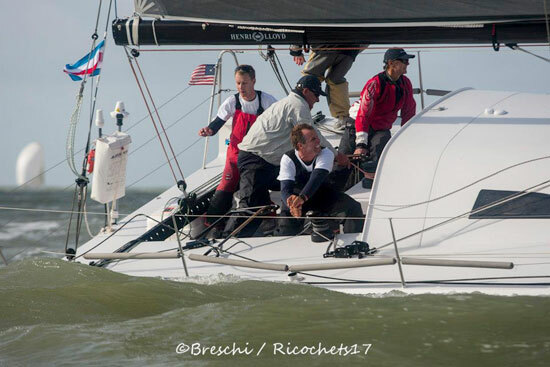 For those of you that were with us two years ago, this is the same race we sailed then on Bodacious 3, but which we had to abandon due to a crew member’s injury. 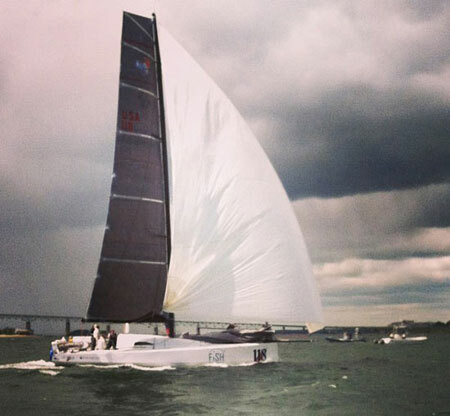 While Bodacious Dream is back in Rhode Island getting ready for our global circumnavigation this fall, I’ll be joining back up with my good friends of Bodacious Racing days onboard the Santa Cruz 52, Bodacious IV. 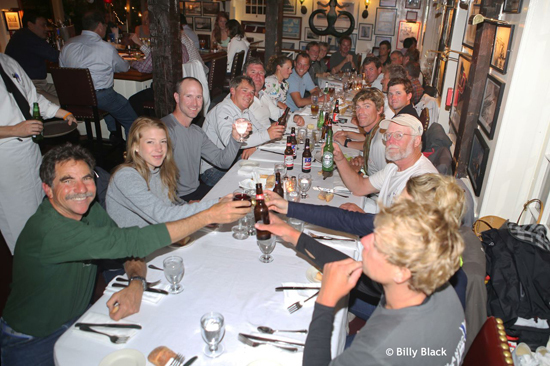 This great group of folks has shared amazing sailing experiences in all corners of the world. 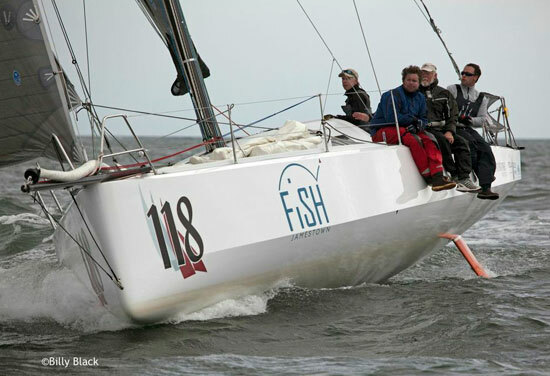 A number of them – John Hoskins, Jeff Urbina, Jim McLaren, John Ayres, Matt Scharl and myself are all Great Lakes Singlehanded Society members. On this run, in addition to Capt. Tim Eades, we will also be joined by Chris Pike, formerly from New Zealand and by Christer Still, formerly from Finland! This is going to be one wide world of fun race to be sure. 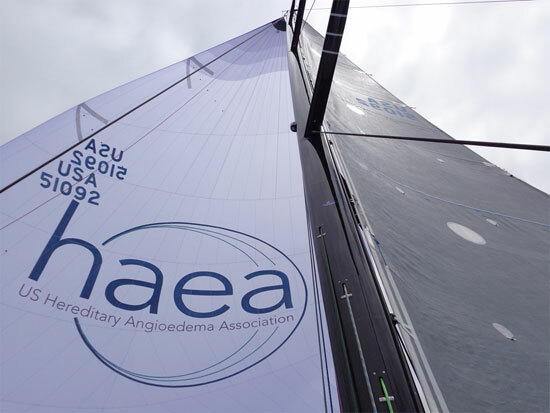 This time around we are also proud to be sharing the platform of Bodacious IV with our friends at HAEA, the US Hereditary Angioedema Association. This is a hereditary blood disease with profound effects, notably swelling that involves the throat, because it can close the airway and cause death by suffocation. Because it affects very few people, it is rarely encountered by healthcare professionals and is often misdiagnosed and treated incorrectly. Pam King, wife of crew member Chris Pike has been working with this rare disease for many years and has been very involved assisting this patient advocacy organization to help build awareness of the disease. 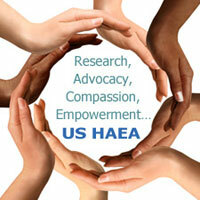 We welcome Pam and the HAEA on board and hope that you will take a moment to look at their website, http://www.haea.org to learn more about this disease and then to perhaps join us in supporting the development of a cure, by making a donation to HAEA here. 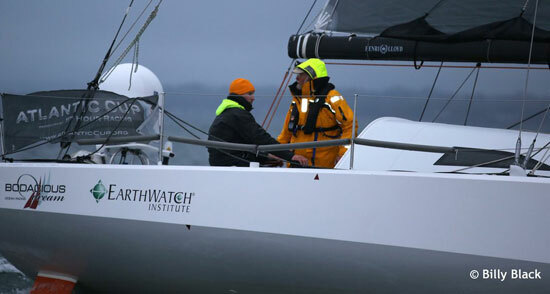 As always, our good friends at Earthwatch Institute will be following along with us as we sail these amazing waters of the Pacific Ocean. We’ll be doing our best to post photos and daily updates about the amazing things we will see along the way. 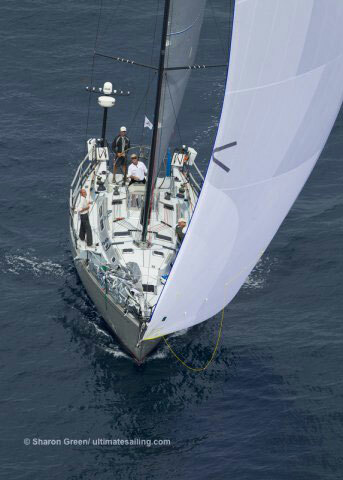 We’ll also have video cameras onboard too … so hopefully, once we arrive in Honolulu, we’ll be able to share with you some exciting footage of us roaring downwind and mixing it up with the trade winds across the Pacific! The Trans-Pac race began in 1906, and this will be its 47th running. 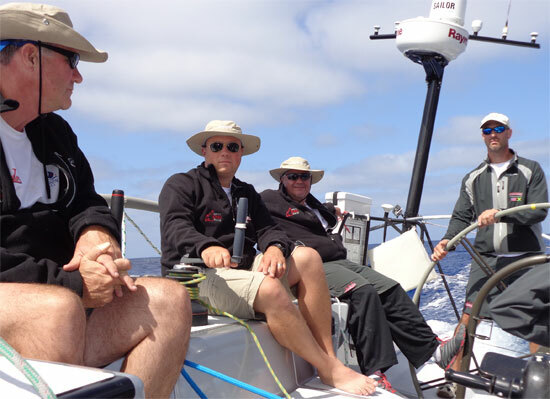 It starts off at Point Fermin, just north of the harbor of Long Beach, California, about 30 miles south of Los Angeles and from there, the course takes us across to Honolulu, Hawaii where we will finish in view of the famous Diamond Head Point. The race course, as I said, is 2225 miles long with the first obstacle being Catalina Island. 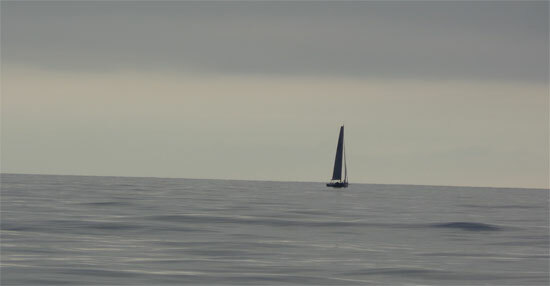 Our first day of sailing will be “on the nose” as we maneuver around the northern tip of Catalina Island. Once we clear Catalina, we will continue southwesterly as the winds slowly turn more to the East, and we begin what we call “footing off.” This is when the angle of the wind becomes more open and a little less “on the nose.” As the winds back off the bow, the boat gets faster and faster. We call this part of the race, the “slot car” event! If you remember toy racing cars that zipped around slotted tracks, it’s like that. During this run, the boats all seem to be sliding along on a parallel course, making fast time as they push deeper into the trade winds towards Hawaii. 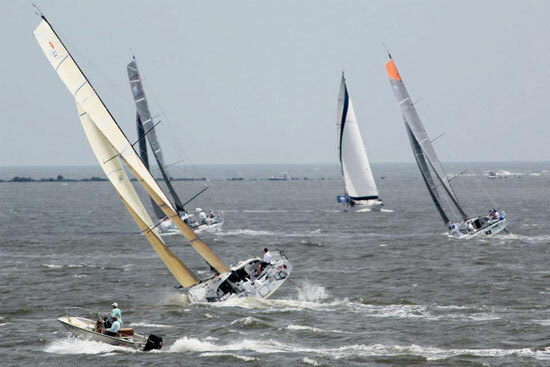 Towards the middle and on through the end of the race, we will all be pretty much downwind sailing with our biggest sails up, gybing (turning back and forth across the wind) to keep in line with the best winds that come out of squalls that are common in this part of the ocean. These squalls aren’t the same sort of squalls you experience on the Great Lakes where winds can reach 100 mph. These are more open ocean squalls with winds that can build up to 30 or 35 knots … but for short periods. Such intermittent winds are manageable in these boats, and if you can stay with them, they will provide you extra boosts of speed … somewhat like being “turbo-charged” … or for you Star Wars fans, like blasting into hyperspace! But for only for as long as you stay with the squall! 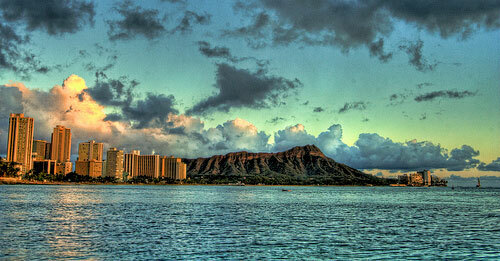 Molokai Channel Approach to Honolulu. 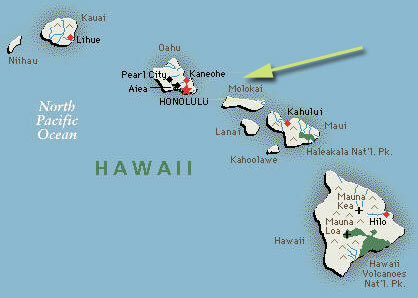 The last stretch of the race is through the Molokai Channel towards the finish. This is the channel between the islands of Oahu and Molokai where some pretty wild winds funnel, making the last stretch of the race quite a fast run. 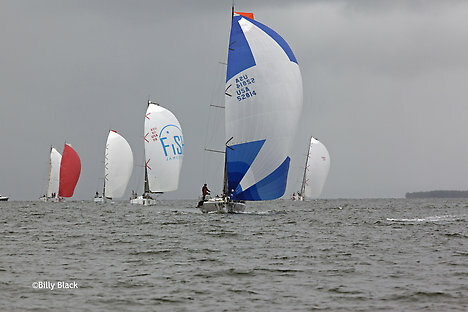 With the finish near, winds up and the boats cranking out double digit boat speeds, you can imagine how high the sailors’ spirits will be! We hope that you’ll find this race exciting to follow and to enjoy with us. With the additional eight crew members onboard, I’m expecting to have more time to report back to you and so bring more of this race right into your living room, so that you can all ride the excitement with us the whole way! 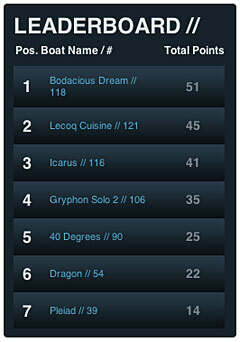 We’ll be bringing you more details on the race and how to track us as we get closer, so stay tuned! 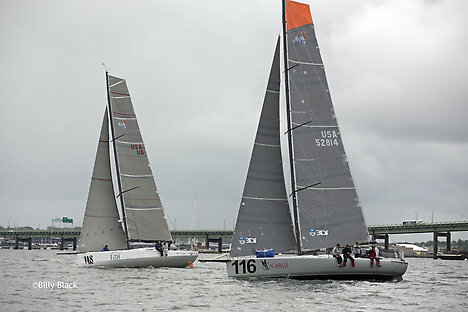 An update here to catch you up on things, which have been moving along pretty much non-stop since the end of the Atlantic Cup Race. I had to head back home to the Midwest to deal with those things that pile up when you’re away – laundry, bills, storm debris, cars and such. 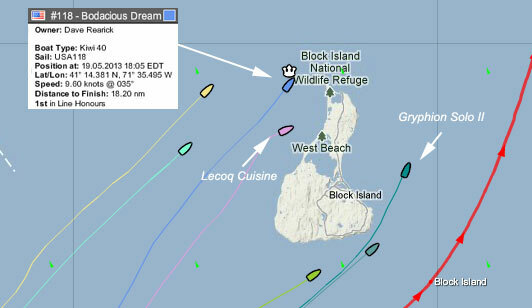 During that time, Bodacious Dream has been sitting patiently on a mooring in Jamestown, RI waiting for my return. 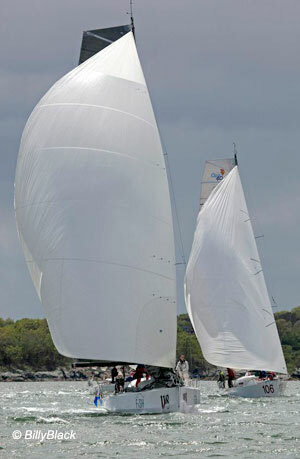 This past weekend, I drove up to Jamestown from Charleston, SC, where I had left the spare gear and sails that we didn’t take with us on the race. I had to sort and pack that all up, along with BoDream’s “cradle” which we shipped by trailer truck up to a marina in Portsmouth, RI. 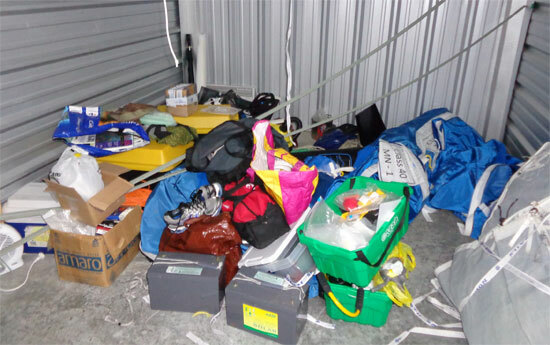 Anybody who sails knows there’s never a shortage of stuff … only a shortage of places to put it all. 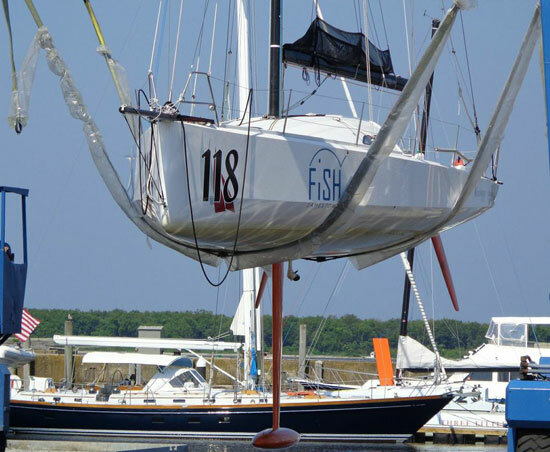 Yesterday, I sailed BoDream up to the Portsmouth marina where she was hauled out of the water, so that we can start preparations for our trip around the world … coming up at the end of the summer! More on that soon! Once the truck arrived, I was down there to unload it and assemble the cradle, unstep (take down) the mast, supervise hauling the boat out of the water and get everything put away and secured before I leave to head west. 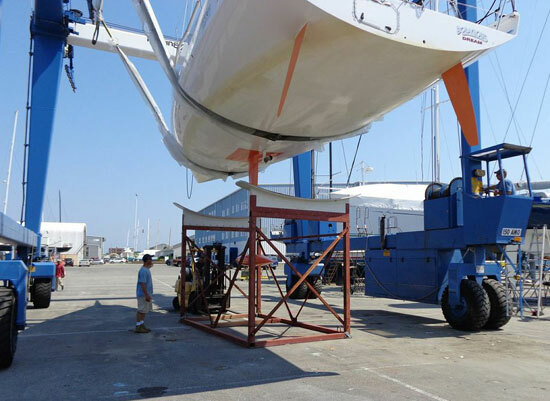 While she’s “up on the hard,” there are a number of projects that need to be completed to prepare her for sailing those much longer distances. Some of these include adding back-up wind instruments to the top of the mast, a hydro-generator to produce alternate power and improving the satellite communication mounts. 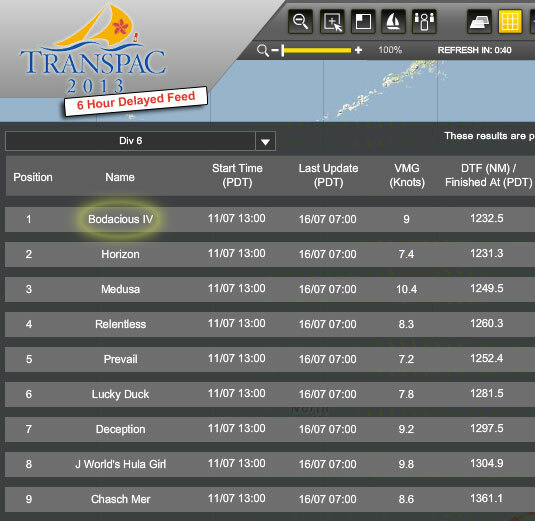 While I’ll get these projects started, I’m also leaving today for the next adventure, which will be helping to sail Bodacious IV in the upcoming Trans-Pac Race which runs from Long Beach, CA to Honolulu, HI! This great race starts for our team on July 11th, and I’ll be sending out more detailed information on what’s going on with that in a week or so. So that’s the up-to-the-very-minute news update! 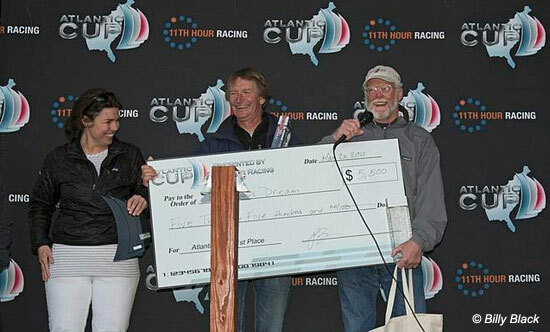 Coming up soon though … a final recap of the Atlantic Cup Race that covers some of the more exciting points of the racing, as well as a great selection of photos and videos. I hope to have that together for you in a couple of days. 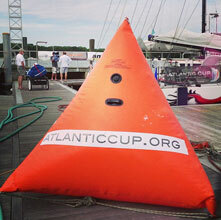 In the meantime, you can see our “best-of” Atlantic Cup photos here & videos here. I’d like to finish with a few shout-outs. 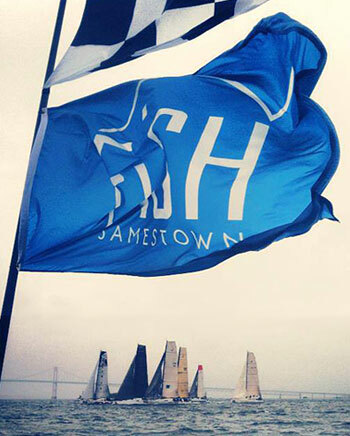 First off, good luck to the all the Great Lakes Single-Handed Sailors who are racing the Solo Mackinac Races, taking place on Lake Michigan and Lake Huron right NOW through tomorrow! 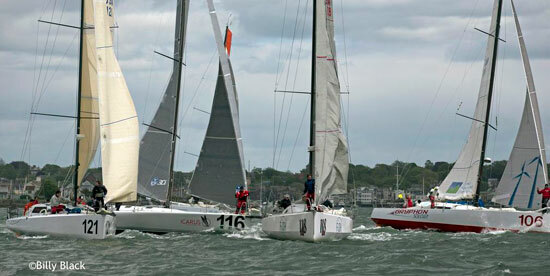 Many good friends and dedicated sailors out there. I remember all the great times participating in past races … and all I can say is I’m envious of them all! 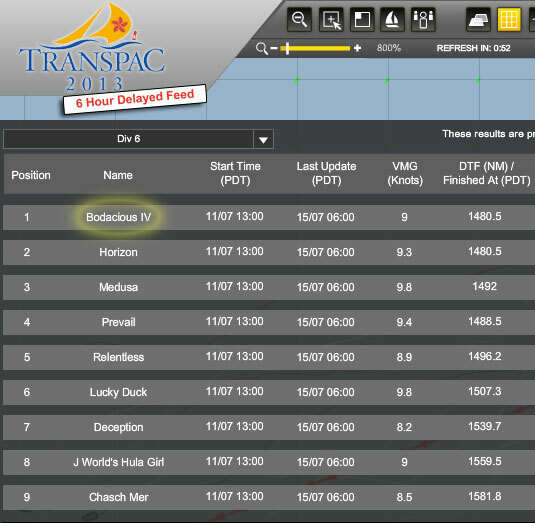 If you would like to follow along, here’s the link for the live race tracking. 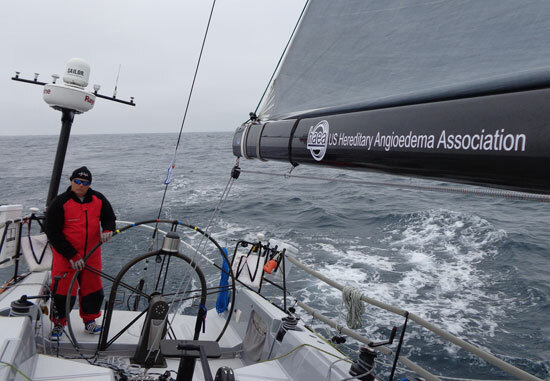 Also, you might want to keep track of our friends and fellow Atlantic Cup competitors, Hannah Jenner from 40 Degrees and Rob Windsor from Dragon as they finish up their Atlantic Crossing aboard 40 Degrees. You can find them on their Facebook page at Royal Racing. 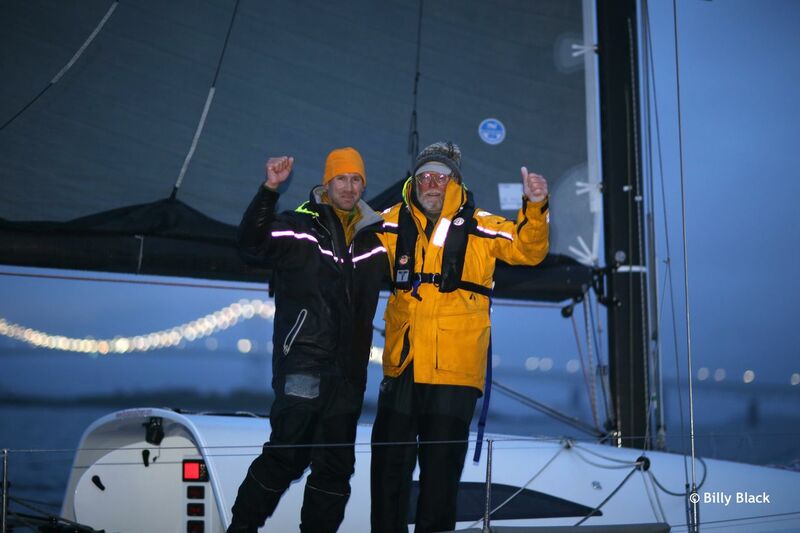 I’m told they will have some very exciting video uploaded once they arrive, as a videographer, Will Lyons, who worked on the TV show, Deadliest Catch, and who shot much of the great Atlantic Cup footage, is sailing along with them to bring their story alive in video. I can’t wait to see what they create. Until the next update then, enjoy your summer! Thanks again for your many good wishes, and we’ll be back in touch soon!